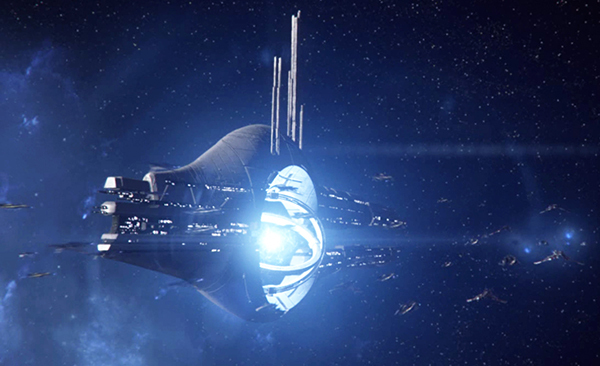 Mass Effect is a science-fiction role-playing action trilogy of games created by Bioware. It’s available on different platforms such as PC, Xbox 360 and PS3. Shepard is the protagonist of the game and the story is told from their perspective. 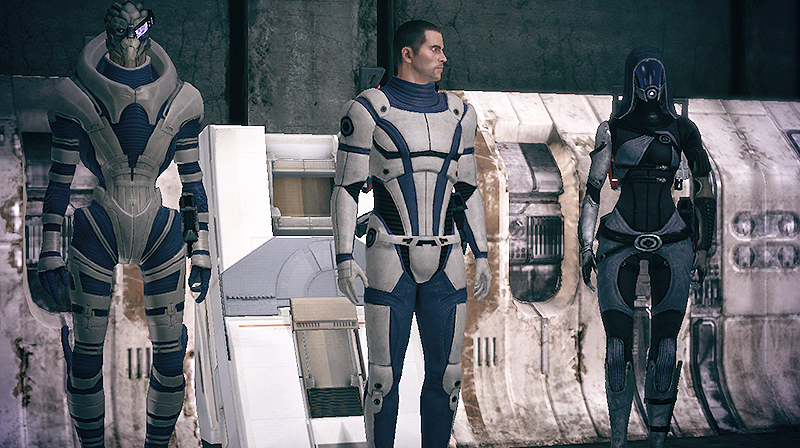 We talk about Commander Shepard in details here. Each Mass Effect game (ME1, ME2, ME3) has a specific storyline but the entire trilogy’s plot has to do with the Reapers, the biggest enemy the galaxy has ever faced. A ship can go through a mass relay and reach a different system in a matter of seconds. 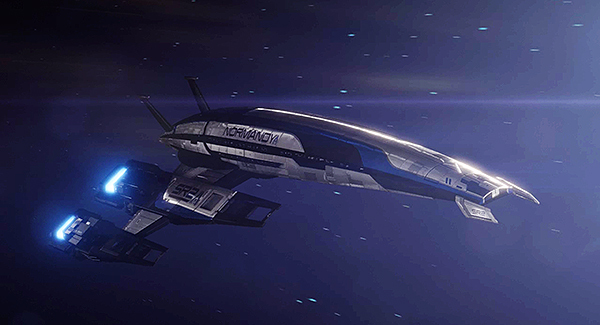 That is how you travel in Mass Effect. Note: There are two versions of the Normandy. This one is the Normandy SR-2. This is Shepard’s home during the entire trilogy. Now let’s go back to mass effect physics and mass effect fields. Without going into too many details, let’s just say that mass effect fields are created with element zero. This element, subjected to electrical currents, releases dark energy. This energy is then used to create mass effect fields. Element zero is also what allows the existence of biotics in the Mass Effect Universe. Biotics can manipulate dark energy biologically. 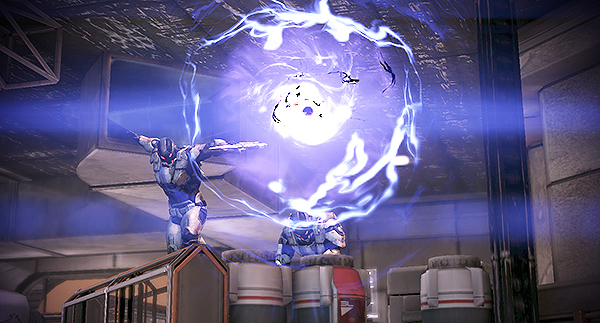 Those “powers” biotics have, Shepard can have them too! Or not. It all depends on your choice of a class. To see more about the classes available, check out our Shepard page. Okay, but what does Shepard do exactly? Who are the Reapers? Shepard is a member of the Alliance (representing humanity in space). They’re an elite soldier. At the beginning of ME1, they’re a candidate to become the first human Spectre. Spectres are agents serving the Citadel Council, the primary form of government in this galaxy. Check out our Galactic Community page to know more. Becoming a Spectre would be the highest honor, but first Shepard is to be followed and trained by another Spectre named Nihlus Kryik. Problem is: a human colony called Eden Prime gets attacked following the discovery of a prothean beacon. The Protheans are an extinct race, their technology is what allowed humanity to discover mass effect fields. Shepard and Nihlus go to Eden Prime to see what happened to the colony and get the beacon, only to discover that a Spectre named Saren Arterius is there first. He has gone rogue. It happens in cycles, and Shepard’s cycle is coming to a close, meaning the Reapers threat is imminent and has to be stopped. 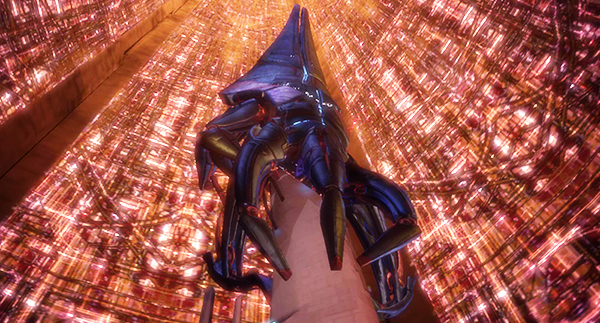 Shepard discovers most of this by getting images from the beacon. 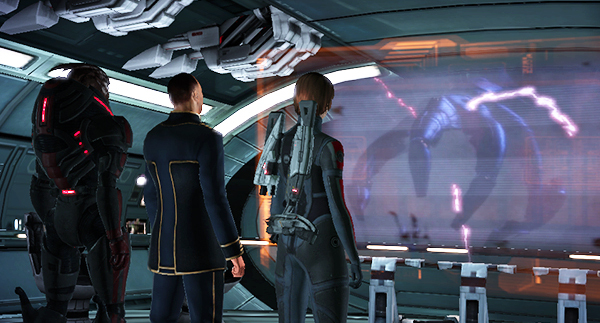 Since the mission on Eden Prime doesn’t go as planned, Shepard has to face the Citadel Council and explain what they saw. The Council is doubtful at first, but ends up naming Shepard the first human Spectre. On a mission to stop Saren and this Reaper threat, Shepard is given the SSV Normandy as their ship and is assigned a crew. 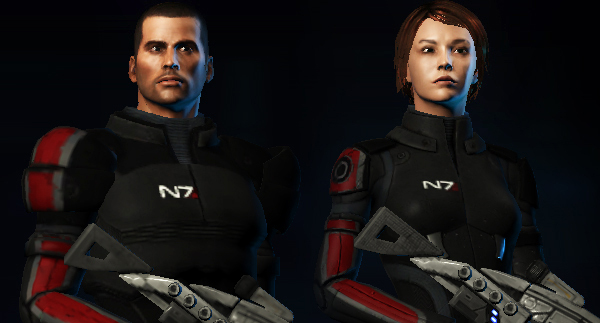 Key members of the Normandy’s crew become Shepard’s squadmates (and friends). 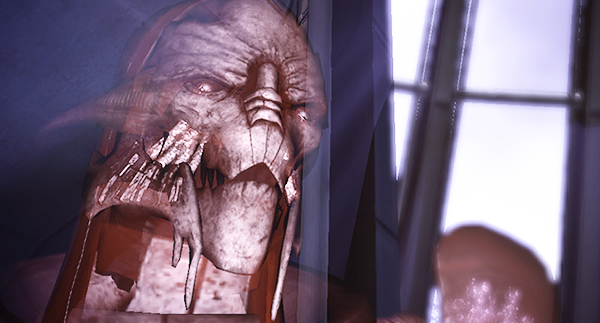 This mission to find Saren and stop him before it’s too late is only the beginning of Shepard’s adventures. A new game in the Mass Effect franchise has been announced. You can find out more about it here.